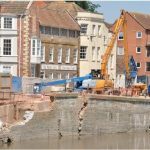 The project required the strengthening of an existing masonry railway arch with a new reinforced concrete liner sprayed insitu. Shotcrete Services became involved when the client was looking for alternative methods of construction and Shotcrete worked with Amco and the designers Pell Frischman to alter and optimise the design. 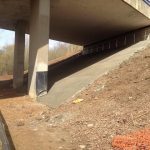 The result was a 550mm thick reinforced concrete shell tied into the existing abutments with stainless steel dowel bars but remaining independent of the crown section. 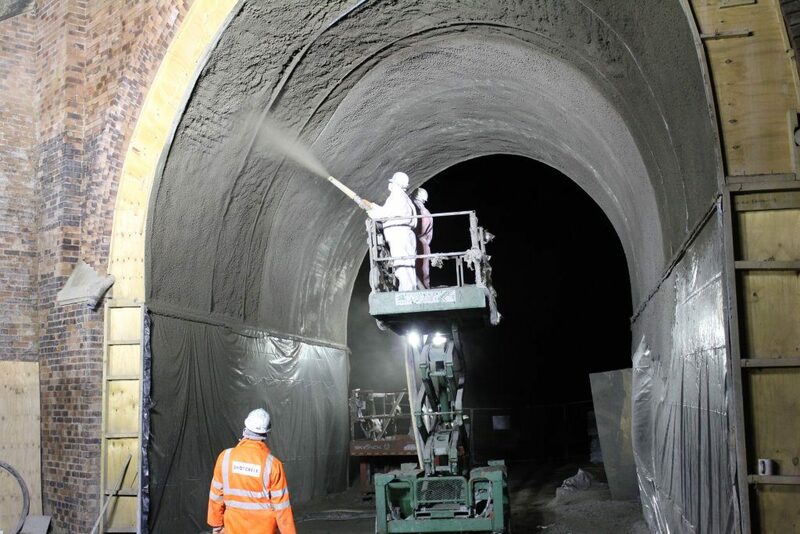 An added challenge was that the crown section had to be sprayed during limited overnight track possessions and the sprayed concrete had to achieve a strength of 10N/mm2 before trains were allowed to recommence running.